Tuntland talked about the raft of documents in this case, and told the jury they need to print out and discuss the most important documents. As to the jury instructions, he said the jury needed to find, by 51%, what was more likely: had or had not Long been fired for engaging in retaliation for whistelblower activity. He advised the jury that Long had not been fired as an isolated event. He brought up the impeachment of Long's testimony that he'd told Bureau of Criminal Investigations' Mike Quinn that he had taken Mark Armstrong's journal from his office, despite telling the jury that Kay Grinsteinner had taken it. Tuntland intimated that Long had been trying to protect Grinsteinner, and that her testimony, which was that she had taken the journal, had not been impeached. He told the jury to pay close attention to Long's personnel file, to note there is not one bit of info in the file to support his firing. He noted that State Law requires that an employee has an opportunity to challenge any adverse information, which had not happened in this case. He noted Long was an at will employee, and reminded the jury he could have been fired for wearing red socks. But he could not be fired for reasons of race, religion, or filing a whistleblower action. He said that Long had reported suspected law violations to law enforcement, and cited Long's turning over Mark Armstrong's journal to BCI's Quinn, believing in good faith that it contained evidence of criminal activity. That subsequently turned into a search warrant for Armstrong's office. He cited Long's refusal to participate in the Chamber of Commerce letter writing action, and said that although Long was not fired for that, nothing happens in a vacuum, that turning over the journal was the straw that broke the camel's back. He referred to exhibit 17, a letter from Halvorson to WSI employees, saying that the Highway Patrol was conducting a criminal investigation. Tuntland said the purpose of the letter was to induce employees not to participate in the investigation unless one of WSI's own attorneys were present. He said Halvorson was trying to prevent employees from talking with police. He also asked the jury to read the Armstrong journal and the State Auditor's report in detail, that they would show the culture of retaliation at WSI. He pointed to Long's standing up to Blunt over the Chamber of Commerce letter writing incident as the turning point in Long's career at WSI, that marked the point at which Long was no longer in the club. He said to consider that Long called WSI General Counsel Jodi Bjornson and got advice that the letter writing campaign was illegal. Therefore, something made Long call Bjornson to inquire, while Blunt and Halvorson maintain no such conversation existed. He asked what Long's motivation could have been in placing such a call; he had a lot to lose. and little to gain. Tuntland went through several details of the State Auditor's Reports, which showed a pattern of retaliation by WSI management against employees. He noted that all the whistleblower actions filed, from Long, Flanagan, Peltz, Grinsteinner and Bjornson, noted fear of retaliation, and that Peltz had specifically noted that "executive management will go to any lengths to keep employees from speaking out." He noted Sandy Blunt's anger over someone having published the public information of WSI salaries, and how he took immediate action to find out the sender. He said the purpose was to retaliate. He said that the jury had been told by Halvorson that he was looking at firing Long, but noted that Long never had an opportunity to challenge adverse information in his file. Tuntland reminded the jury that the AG's Tim Wahlin said Long had received a copy of the reasons for his firing, but Tuntland noted that had not occurred until after Long filed for Whistleblower protection. He asked the jury to look at the date Halvorson met with AG's Tag Anderson about Long's firing: it was the same date as Long's meeting with BCI's Mike Quinn, which Long had publicly posted on his calendar. He noted that Long had only talked with Quinn because Bjornson had suggested his name to Quinn. he noted that Halvorson had advised employees they could refuse to talk with law enforcement, and that Long knew if he played along, if he'd refused to talk with Quinn, he'd be sitting pretty. But he chose to talk, and was retaliated against for so doing. He noted that Quinn's search warrant of Armstrong's office was the same day that Blunt's charges were dropped (although one was reinstated later.) The Board had always maintained Blunt's innocence, and was going to reinstate him the following Monday. He said Blunt was fully aware it was Long who let law enforcement into Armstrong's office. 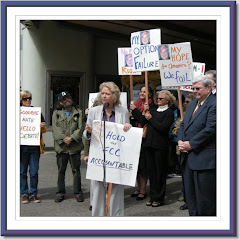 Long and Peltz file for Whistelblower protection that weekend. Monday, Blunt shows up with a hand written "side file," documenting earlier problems with Long and Peltz. Blunt says he'd kept a similar file in his candy drawer, but it had disappeared. That file went immediately to Tim Wahlin, who somehow knew there would be an open records request for the previously unknown document. Tuntland said that Blunt had been working with media person Steve Cates to sully peoples' reputations by making public personnel information which could not be challenged by the employee. he said it was a great message to other WSI employees to shut up or else this is what happens. He said Long knew that weekend he would be retaliated against, and that he had little choice. He said Long laid a lot on the line: his name, reputation, saleability in his profession, job and income. He asked the jury whether they thought Long really wanted to go through a three year lawsuit and a three week trial. He noted that WSI's case was based on WSI's saying thet had intended to fire Long all along. He asked then to judge WSI's credibility based on the State Auditors' report, which said, "there a number of areas where information provided by WSI is misleading and inaccurate, not only information provided to us during our audit, but information to legislators and other entities." "That's WSI's credibility: Believe us, we were going to fire Jim Long," Tuntland said. He noted that when Long was put on paid administrative leave, his notification letter was released to the press, and made Long look like a criminal: he was not allowed in the WSI building, he couldn't talk with WSI employees. It didn't say why, Tuntland said, but the reason was that Long had ratted out Blunt, had ratted out Armstrong, and could not come back. he said it was a broader message to WSI employees to watch out. He noted that the only four people interviewed in WSI's investigation of allegations were the four who filed whistleblower complaints. He said it took seventy five days for Long to get notice why he'd been dismissed, and that he kept asking a peer, not a superior, for reasons he's been put on leave, and asked how the stated plan for his reinstatement was going. He said Long finally received an insulting letter from Halvorson saying he was working on a reinstatement plan. Tuntland noted the only way Long could have gotten his job back was to apologize for tattling on Blunt and Armstrong. He asked the jury to look at exhibit 17, which showed that the investigation of Long's allegations had not talked to a single witness, not one. He said that two Board Members complained they did not have enough time to review Long's appeal packet, and he asked the jury to review the State Auditor's report as well, and note that one of it's issues was of board members being poorly informed. He said there had been no change at WSI, including regarding retalation. He noted that not a single investigation had found Long was at fault for anything, but that he was fired anyway. He reminded the jury that just prior to Blunt's going on leave, he had written a glowing report of Long, saying his integrity was beyond question. He noted Halvorson had also written a glowing report about Long not long before his being put on leave. He said Long got fired because he'd testified against Sandy Blunt, and that Blunt got convicted. He said Long's firing was a message to other WSI employees. Regarding allegations of a relationship between Long and Peltz, Tuntland asked, "where's the beef?" He pointed to innocuous emails ... closed but unlocked door meetings ... Billie giggled ... Jim wore a fairy outfit to Halloween and made Billie's kids feel good ... "Where's the beef?" He reminded the jury the Long had obtained permission from legal to tape record Hutchings and others... and that after an investigation, it had been determined Long had done nothing wrong. He said allegations that Long had gone out of bounds by going to the board over problems with the $14 million ITTP project was justified by the state's Justin Data raising red flags over recent management changes. He said WSI tried to manufacture reasons for Long's dismissal. Tuntland reiterated to the jury that the only damages being sought were for back pay of $135,235.00 . He concluded that the atmosphere at WSI was retaliatory: that even WSI's Board Chair had targeted the State's attorney when WSI went under its microscope. He asked the jury to consider what kind of integrity WSI has.